We use a disposable pedicure liners for all pedicure needs for your added protection. Manicure with exfoliation of the hands and arms for ultimate softness and removal of unwanted dead skin cells. Manicure with exfoliation, light hand massage leading to dipping of paraffin wax for an ultimate smoothness. Pedicure with exfoliation and reflexology leading to dipping of paraffin wax onto feet and legs for an ultimate smoothness. Manicure with Green Tea exfoliation and 10 minute massage utilizing cream of cucumber extract. Pedicure with special soaking of tired feet into green tea extracts. This treatment includes exfoliation, 15 minute massage with cream of cucumber extract, and choice of either lavender or peppermint oil treatment. Manicure with cuticle treatment, elimination of callused skin, A.H.A. exfoliation with lemon peel, 10 minute hand massage, mud wrap of hands and arms placed in hot booties. Pedicure with cuticle treatment, concentrated callus peel, sea salt glow exfoliation, marine masque wrap, 20 minute reflexology massage, finishing off with lavender or peppermint oil treatment. Milk fortified pedicure with callus eliminating treatment, soaking of the tired feet in milk enriched bubble bath, exfoliation of the dead skin cells, milk mud wrap of the feet in the hot booties, 20 minute reflexology massage with lavender or peppermind oil treatment. The ultimate spa pedicure that treats unwanted callus build up, treats dry, cracked skin with sea salt glo, along with moisturizing creamy mask. Heated Keratin bootie treatment will be followed after the 20 mins of reflexology massage. Certified organic spa pedicure that treats unwanted callused skin, skin softening in purissima bubble bath, exfoliation of the legs and feet with fruit seed peel, Dead Sea mineral mud wrap of the legs, 30 minutes reflexlogy massage with botanical oils and callus softening in hot booties. Manicure with OPI Gel Color that resists any chipping of the polishes for 2 to 3 weeks. 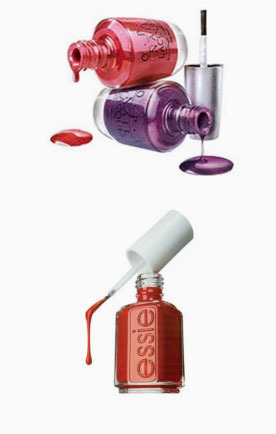 Pedicure with OPI Gel Color that resists any chipping of the polishes for 2 to 3 weeks.